Stated income is an extremely important concept for self-employed persons and small business owners that are thinking about getting a mortgage. This post provides a definition for stated income, how it affects your mortgage application, and what you need to know if you are a self-employed Canadian that is thinking about buying a home. If you are self-employed and considering buying a home or taking out some equity, one of our experts can help find the best solution. Click here to book a planning session. What is stated income and how does it differ from taxable income? Why is the difference between stated income and taxable income important? How would using stated income affect me? What are my options if I'm self-employed and don't want to put 35% down? Stated income is when you simply state your income. It is similar to the net revenue of your business and you can think of it as how much money you could pay yourself from your business, should you choose to. Stated income differs from your taxable income. Taxable income is the income you declare to CRA on line 150 of your tax returns. We will refer to taxable income and declared income interchangeably. 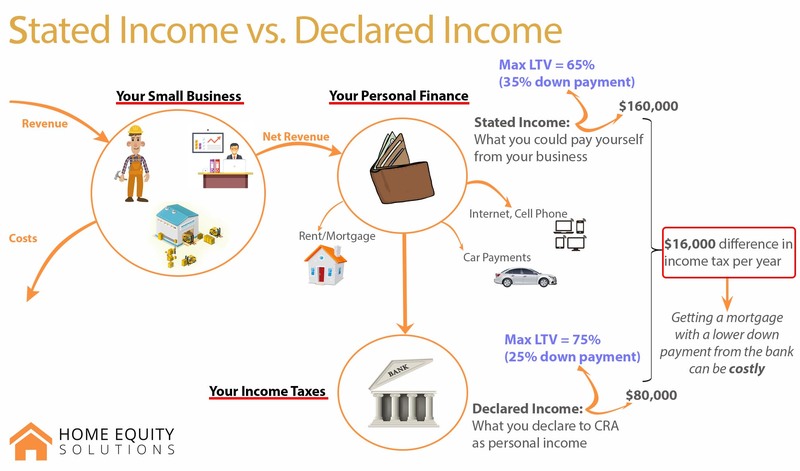 The difference between stated income and taxable income are the write-offs that you make as a self-employed person, such as rent/mortgage payments, car payments, internet bills, cell phone costs, etc. It makes financial sense to write-off as much as possible and thus widen the gap between declared income and stated income. Note: Taxable income is not the same as net taxable income, which takes account personal write-offs, such as charitable donations, tuitions, etc - write-offs that are unrelated to your business. Stated income is probably what you think of when you think of your income and is more reflective of your financial status and capacity to service a debt, such as a mortgage. On your average weekday, it isn't. But, if you are thinking about buying a house, then it's very important. 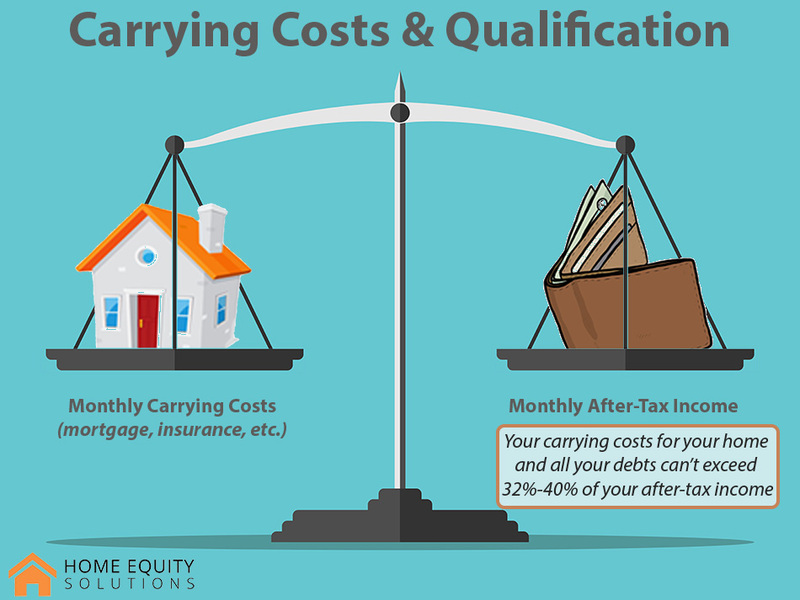 When a bank is deciding to give you a mortgage, they compare the carrying costs of the mortgaged house, along with any other debt, to your income. If the costs are too high compared to your income, they won't give you the mortgage (you don't 'qualify'). Using stated income, you can't get a mortgage through a major bank with less than 35% down. If you want to use a smaller down payment (put up less of your money), banks will only qualify you using your taxable income. This means that, even though you could afford your mortgage using your stated income (which is more reflective of your actual income), you have to show that you can afford it using your taxable income. What's worse, is that you have to show it using two years' worth of tax assessments. How Does Using Taxable Income to Qualify Affect Me? As a self-employed person, you have justifiably kept your taxable income as low as you can. This means that you can't qualify for as big of a mortgage using your current taxable income as you could if you used your stated income. So, if you want that house, you either have to save up for a larger down payment, declare more of your income to CRA, or use a private lender to top your mortgage up. What would declaring more income cost you? The chart below explains. 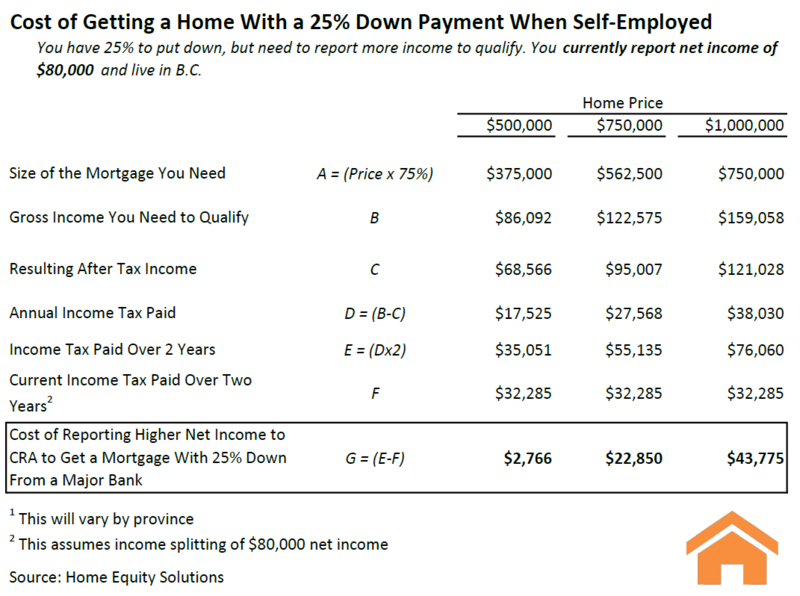 Not only are you waiting two years to buy your house, but you are paying around $3,000 more in income tax. We talk in greater detail about the first two options here. It's quite simple. The bank provides your mortgage up to 65% and we “top you up” by lending you the remaining 10%. 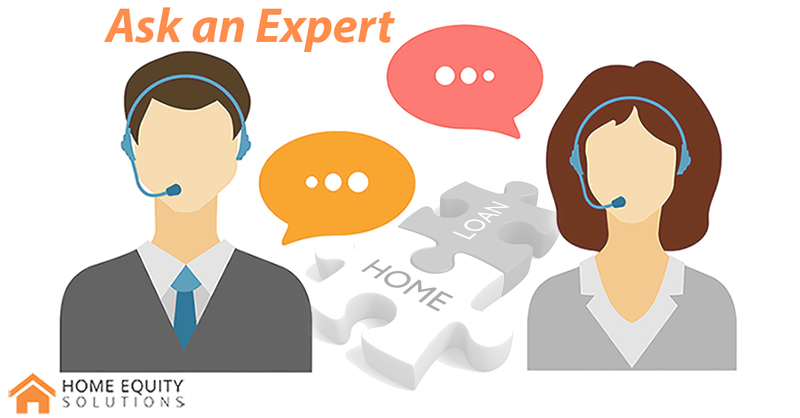 The vast majority of your mortgage is still through your bank, we just lend you a small portion. The answer isn’t the same for everyone. But we want to stress that major banks are not the only way to get a mortgage and can, in some cases, cost you a lot more. Explore your options, do your research, and find what works best for you. We can help you make the right decision. If you want to speak with one of our experts to find what works for you, you can schedule a planning session by clicking here or the image below.